While many people associate Salmonella exposure risks with eating or drinking contaminated foods and beverages, far fewer recognize that they could also be exposed to it from a family’s pet reptile or amphibian. Each year, the CDC reports that Salmonella from various sources is estimated to cause one million illnesses in the United States with 19,000 hospitalizations and 380 deaths. Young children are at increased risk for Salmonella infection because their immune systems are still developing and they are more likely than others to put their fingers or other items into their mouths. For those concerned about the possible presence of Salmonella in their home, EMSL Analytical, Inc. offers testing services and all of sampling supplies necessary. 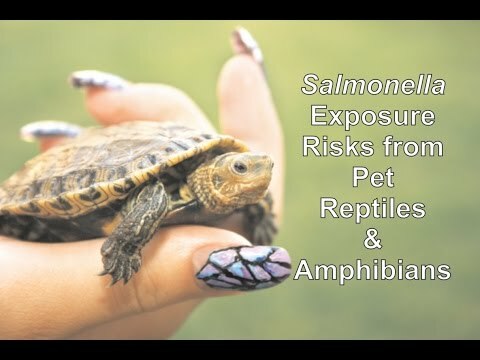 EMSL also recently sponsored an educational video about Salmonella exposure risks from pet reptiles and amphibians that can be seen at: http://youtu.be/IRJVx2_qGQM. To learn more about testing for Salmonella or other microbial pathogens and contaminants, please visit www.EMSL.com, call (800) 220-3675 or email info@EMSL.com . EMSL Analytical is a nationally recognized and locally focused provider of food, environmental and materials testing services and products to professionals and the general public. The company has an extensive list of accreditations from leading organizations as well as state and federal regulating bodies.